One of the top government officials in Yunnan is spending time this week in Naypyidaw, capital of neighboring Myanmar. Provincial governor Chen Hao (陈豪) began a three-day diplomatic trip May 6 by meeting with Burmese president Thein Sein to discuss a litany concerns on both sides, as well as ways to promote the increase of legitimate bilateral trade. 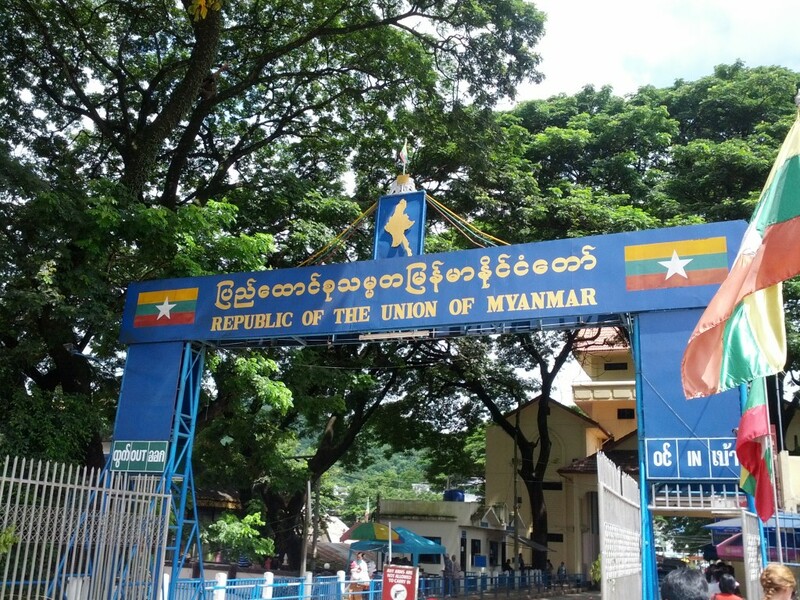 At the center of the talks is stability along Myanmar’s 2,000-kilometer shared border with Yunnan. The most high-profile concern is a three-month war raging between the Burmese military and ethnically Chinese Kokang guerrillas in Myanmar’s Shan State. What started as an internal Burmese issue in February quickly changed into a cross-border crisis when tens of thousands of refugees sought safety in Lincang Prefecture in Yunnan. Already angered by the humanitarian situation, Beijing was positively incensed when Burmese warplanes bombed rural Yunnan villages not once but twice. Although the initial bombing caused only minor property damage, the latter claimed the lives of four Chinese farmers, leading Beijing to angrily summon the Burmese ambassador to China for a tongue lashing. Chen’s trip is no doubt a delicate attempt to repair strained relations between Myanmar and China. Civil war, refugees and errant explosives are enough to make any relationship tenuous, but Chinese leadership is also concerned with the huge shipments of heroin, opium and methamphetamines that routinely leak across the porous Yunnan border. And the concerns are not one-sided. Thein Sein’s government charges that illegal trade out of his country — especially in jade, gold, endangered species and old-growth timber — is promoted and financed by unscrupulous Chinese businessmen operating illegally in Myanmar. However, the touchiest issue may be that of human trafficking in women. Already this year, Chinese authorities have made several notable stings, arresting dozens of people involved in buying, transporting and selling Burmese women to perspective Chinese husbands. The largest of these occurred in March, when police made 35 arrests and repatriated 177 women and girls to Myanmar after raiding a Yunnan company advertising “Myanmar women [who] cost you only 20,000 yuan”. Chen has only officially been in power since January, and his province’s western border snakes along endless mountain ranges, beside lush river valleys and through dense jungle that are nearly impossible to properly patrol. The one possible bright spot, and something he will undoubtedly bring up repeatedly during his Naypyidaw visit, is bilateral trade and the third annual China-South Asia Expo opening June 12 in Kunming. But what can be accomplished regarding the lawless and sometimes dangerous border between Myanmar and Yunnan remains a giant question mark. This article was written by Patrick Scally and originally published on GoKunming. It is reprinted here, in its entirety, with permission from the author. Last week the US State Department issued its annual Trafficking In Persons (TIP) Report, which ranks every country in the world according to their adherence to the US government’s anti-trafficking mandate. For the first time, Thailand was designated “Tier 3,” the lowest “rung” on the TIP Report’s ladder. In the past two weeks, close to 300 suspected Uighur migrants were discovered in the jungles of southern Thailand. Since their discovery and apprehension by Thai authorities, accusations of terrorism and rebuttals to these claims have flown. Quoting an unnamed source attached with Thai police, the Bangkok Post published an article claiming that the migrants were indeed Uighurs. They intended to use Thailand as a transit point to go to Turkey, where they would be trained in terror tactics that could be used in their native China and elsewhere. Recently, two groups of migrants have been found in the south of Thailand. The first, discovered March 12 at a rubber plantation near Songkhla, was a group of 219 people, containing dozens of women and children. Another group of 77 were arrested near a school in Sadao district on the 20th of March. The same source alleged that the migrants were identified as Chinese Uighurs and not Turks, as they have claimed, by bus tickets and items that had Chinese writing on them. “Immigration police are not stupid,” the police source added. Turkey has sent diplomats to southern Thailand to verify the migrants’ claims of Turkish nationality. The migrants were able to speak with diplomats when interviewed, however when met by an interpreter from the Thai Immigration Bureau they could not communicate well. “The interpreter believed they could not speak Turkish,” the source said. A named source, Thai Immigration Bureau chief Lt. General Panu Kerdlarppol, refused to give any specific details regarding the migrants’ nationality or ethnicity. However, historically and geographically, it would make more sense that they were Uighur. Thai authorities have been aware of a Uighur migrant presence in the country since last year. In December 2013, 112 refugees were arrested in the country’s south and are now being held at a detention center. Thirty of the migrants have so far been positively identified as Uighurs. Following the arrests, Lt. General Panu met with Chinese authorities in Kunming about the issue. There are some, however, that dispute claims of the migrants’ nefarious motives. Speaking through the Phuket Wan Tourism News, the New York-based Human Rights Watch dismissed the accusations. Mr. Robertson links these claims of terrorism to Thailand’s treatment of asylum seekers in the past. Starting in 2009, hundreds of Muslim Rohingya refugees from Myanmar began regularly washing ashore on Thailand’s western coast. These refugees, fleeing ethnic violence in their home, were also labelled as terrorists. Oftentimes, they were pushed back out to sea by units of the Thai navy. ”It seems pretty clear that Thai officials have some ulterior motives in trying to tar this entire group with the ‘terrorist’ label,” Mr Robertson said. He believes the end game is to deport the migrants to China, ”I suspect that such ‘terrorist’ accusations are a prelude to some Thai government officials trying to force these groups back to China in what would be a clear violation of international law,” Mr Robertson surmised. Migrants claiming Turkish nationality were also arrested in Malaysia this month, though no further word on their situation has been released.